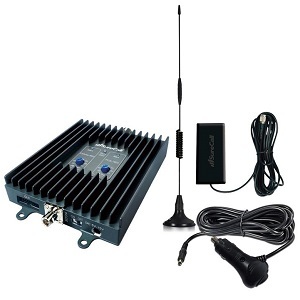 Mobile cell phone repeaters are great for use in urban areas where you are experiencing dropped calls and poor connections.. The Cellphone-Mate SureCall™ CM-FLEX2GO provides completely wireless boosting of signals for multiple users simultaneously. It supports all cellphone handsets and service providers in the PCS or Cellular frequency bands, and is perfect for use in vehicles. A sophisticated Protection circuit also prevents damage to the amplifier due to interference or improper installation. With a SureCall™ Amplifier doing all the long-range work, the battery on your cellphone drains slower, thereby increasing talk time. The 6V design runs safer, cooler and more efficient. Finally, with proper use of the SureCall™ CM-FLEX2GO, dangerous hot spots are removed a safe distance from the user's body. The 800MHz and 1900MHz cellular signal from the cell site is received by the included Magnetic Antenna. The signal is then amplified and transmitted to your phone through the inside antenna. When the phone transmits, the signal is sent to the amplifier through the inside antenna and then amplified and sent to the cell site through the outside antenna. All US Cellular/PCS carriers except iDEN carriers such as Nextel, SouthernLinc, Mike (Canada). Not compatible with 1700MHz AWS (T-Mobile US 3G). Compatible platforms include: GSM,CDMA,EDGE,HSPA,EVDO,LTE, At&t (really old Cingular), Alltel, Sprint PCS, T-Mobile (850MHz, 1900MHz), Cellular One, US Cellular, etc. The inside antenna (5" patch Antenna) should be mounted at least 10" from where the phone is to be used. The best place to mount the inside antenna is shoulder height on the side of the drivers seat. The closer the inside antenna is placed to the phone, the better the performance. Do not mount the interior antenna within 4" of metal. This wide-band rubber right angle antenna is designed for use with our mobile amplifiers and offers 3 dB of gain. Ultra thin low profile interior antenna. 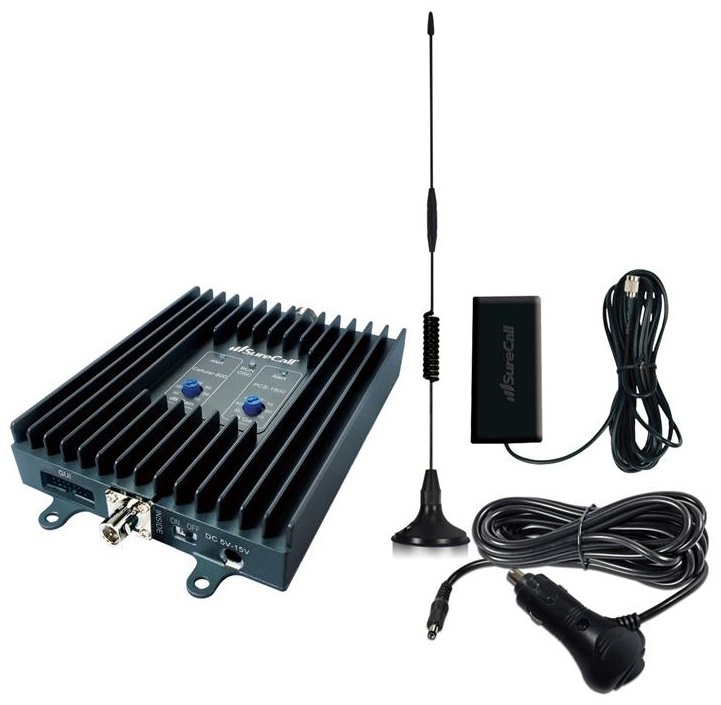 This convenient, lightweight antenna is designed for use with our CM2000 dual band mobile amplifier. The antenna offers 3 dBi of gain and should be placed as close as possible to the cellphone. This full band panel antenna is a compact directional antenna designed to cover 2G/3G/4G/and WLAN systems for Cellular, PCS, AWS and LTE frequencies.